Use these commands to get information no matter what phone you use. It's secure and it's free. Simply text the following commands to 89549. To opt out of FNB Text Banking alerts, reply STOP to 89549. An unsubscribe message will be sent to your number confirming the cancellation, but no more messages will be sent after that one. For support or information about FNB Text Banking Alerts, reply HELP to 89549. 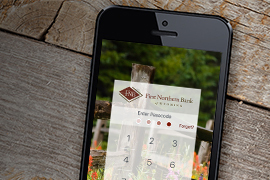 Optionally, you may email us at fnbbk@firstnorthern.bank or call us at (307) 684-8000. FNB Text Banking alerts allow our customer to opt-in to receive information about FNB bank accounts and to perform basic banking services including balance and history inquiries. Not all carriers are supported for this service. For a list of supported carriers, please log in to your online banking access at https://www.firstnorthern.bank and then select the "Mobile Settings" tab. There are no premium charges using FNB Text Banking Alerts. Message and data rates may apply. Subscribers to FNB Text Banking Alerts will receive one message per query. FNB Text Banking's top priority is the privacy of our users. The following is provided to address any concerns you may have. 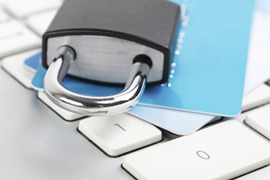 FNB Text Banking will never, under any circumstances, sell or distribute your cell phone number to third parties or FNB Text Banking clients for whom you have not approved.